This post made it just in time for Christmas! 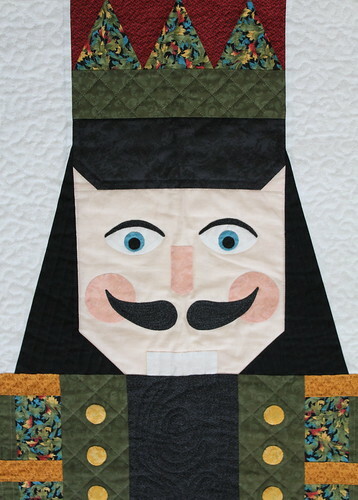 I was at my mother's house today for a family brunch where she had her nutcracker quilt displayed. I had forgotten all about it. I made this for her a few years ago as a gift, fortunately she remembered to unpack it for the season. She let me borrow it today so that I could photograph it for this post. 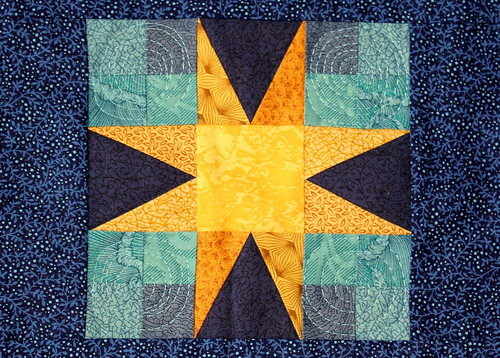 The quilt top was made using a number of techniques including traditional piecing, foundation piecing and applique. 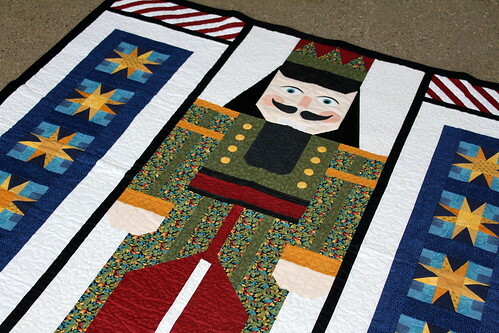 The assembly was machine quilted. 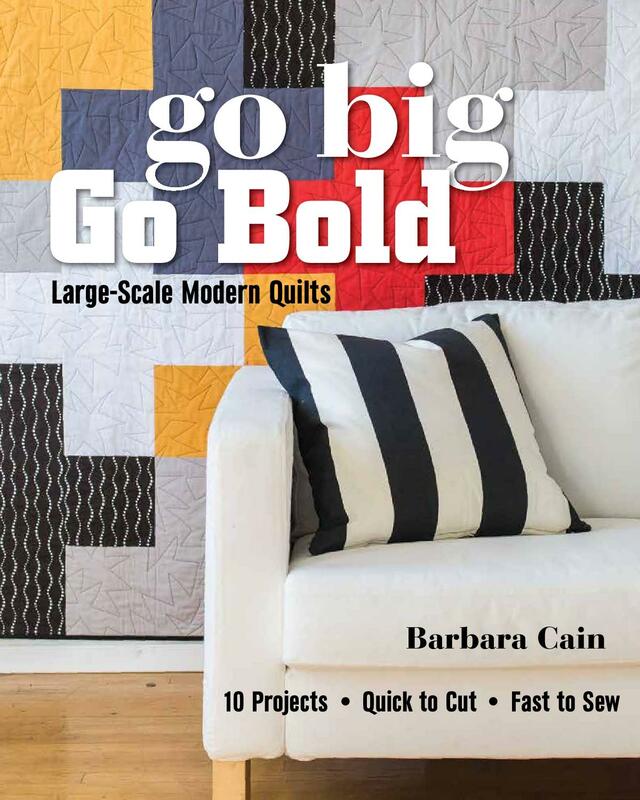 Do you have a picture of the whole quilt?